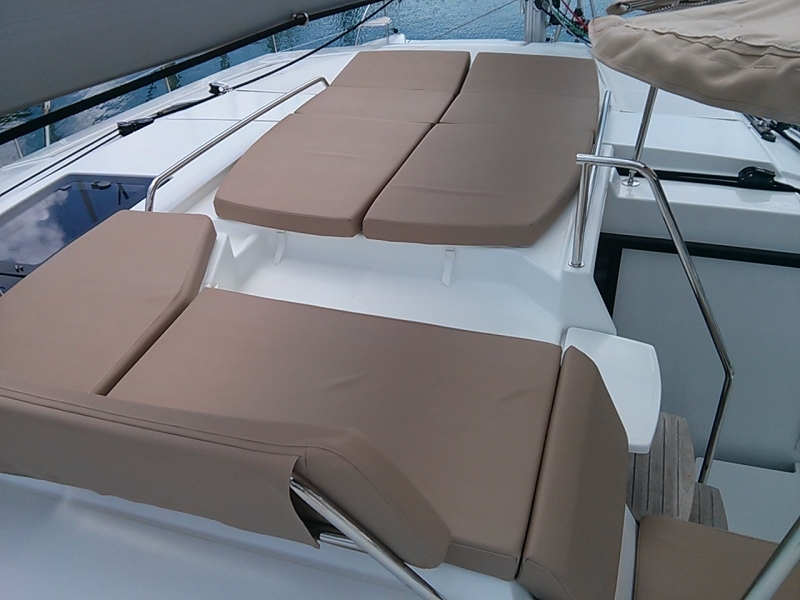 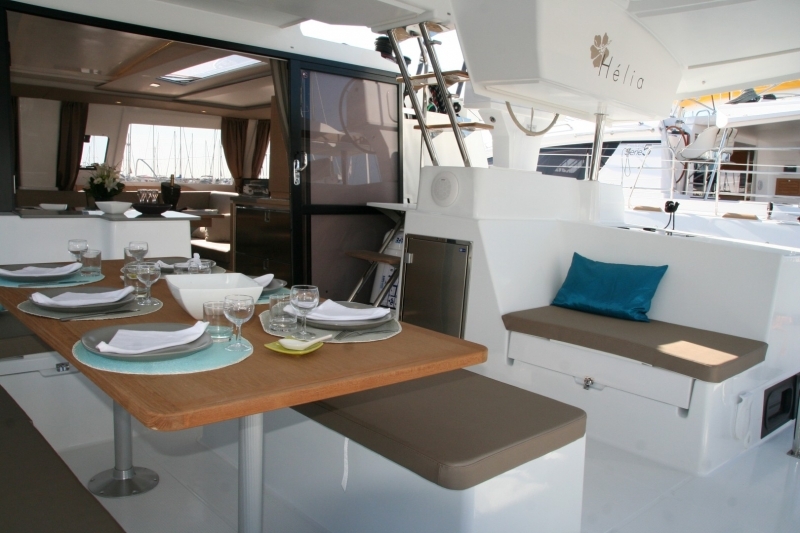 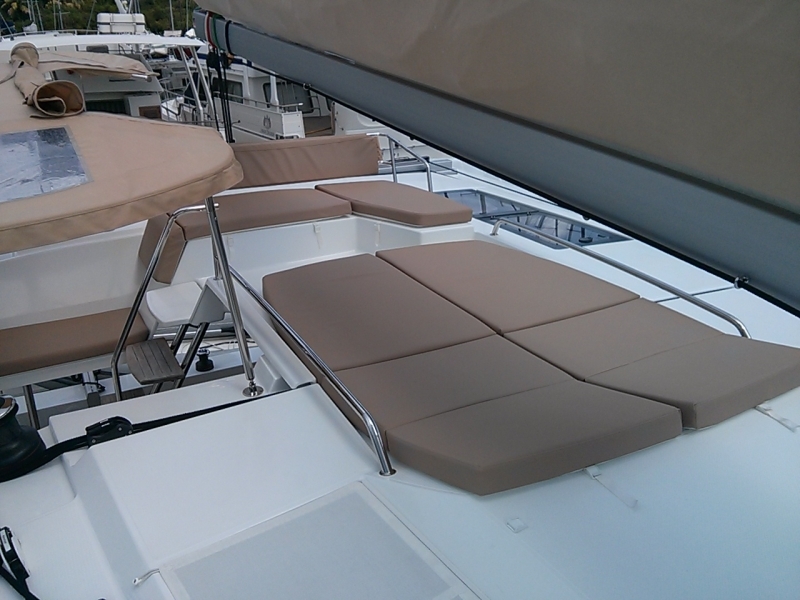 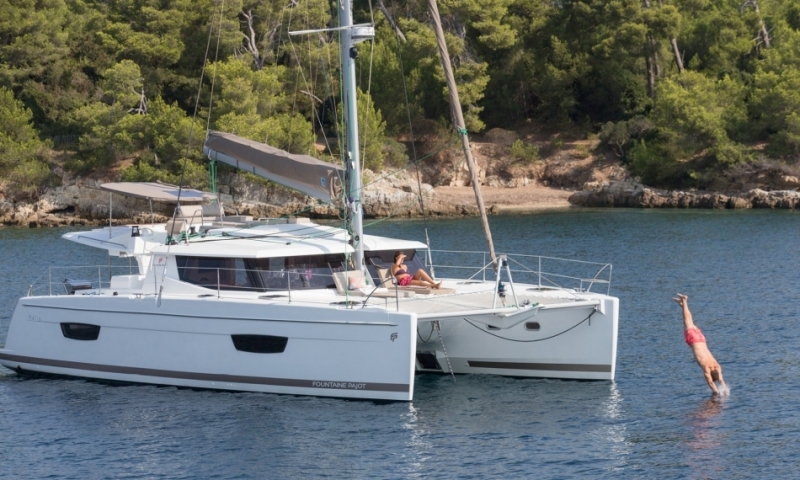 "Fountaine pajot - Helia 44" is sailing catamaran manufactured in 2015 in France. 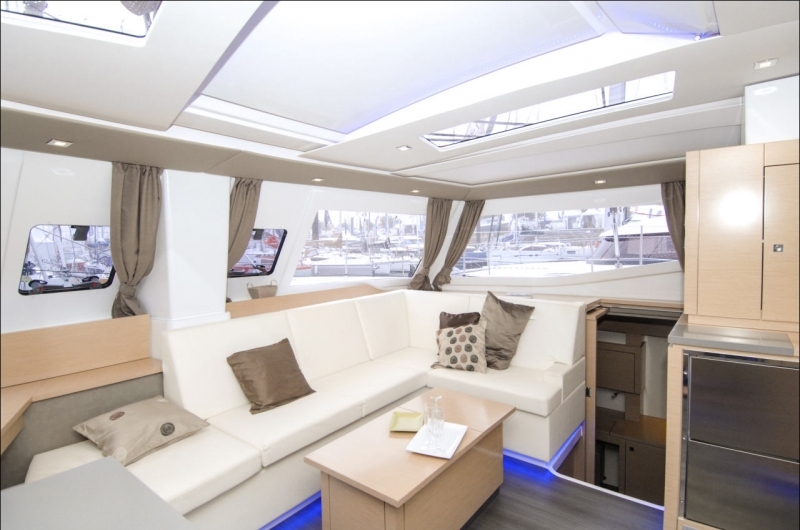 Made by special order with exceptional luxury and high level of comfort for passengers at sea and entertainment. 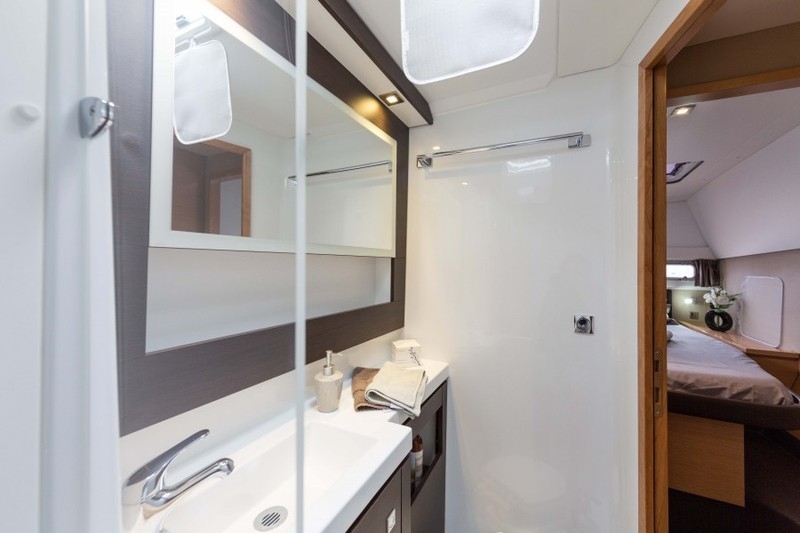 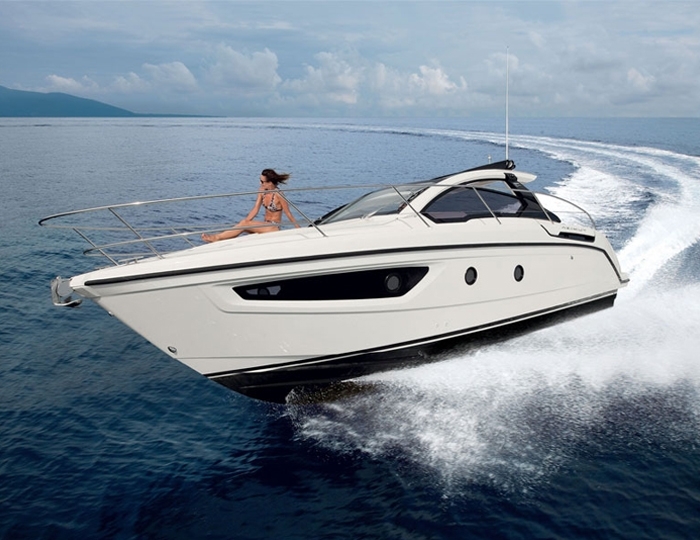 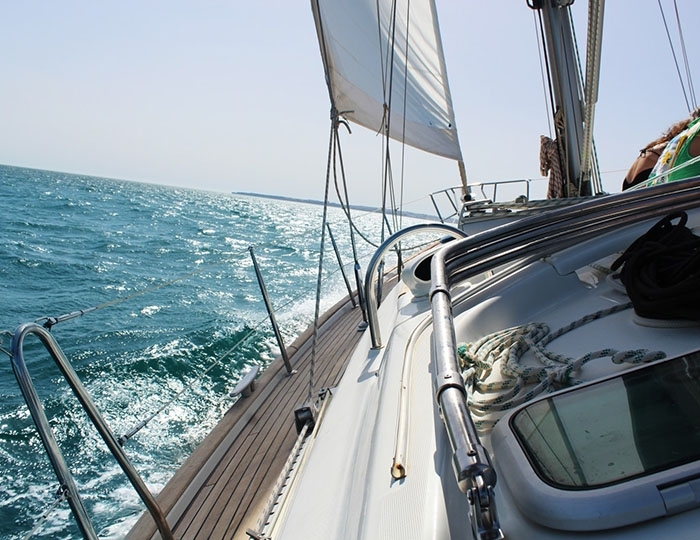 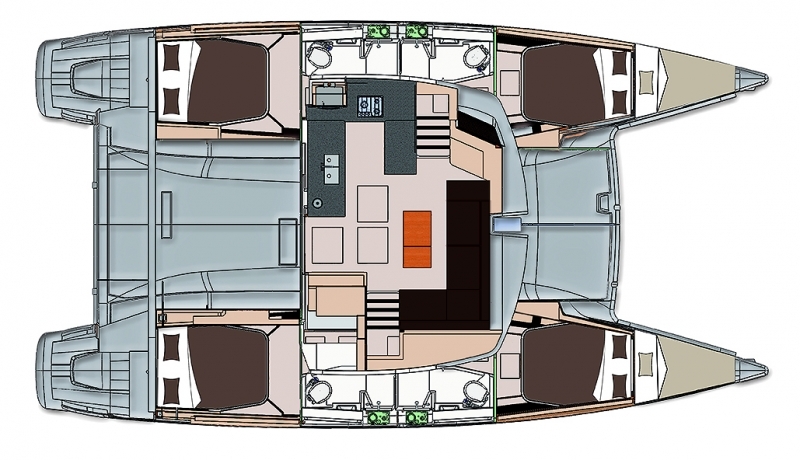 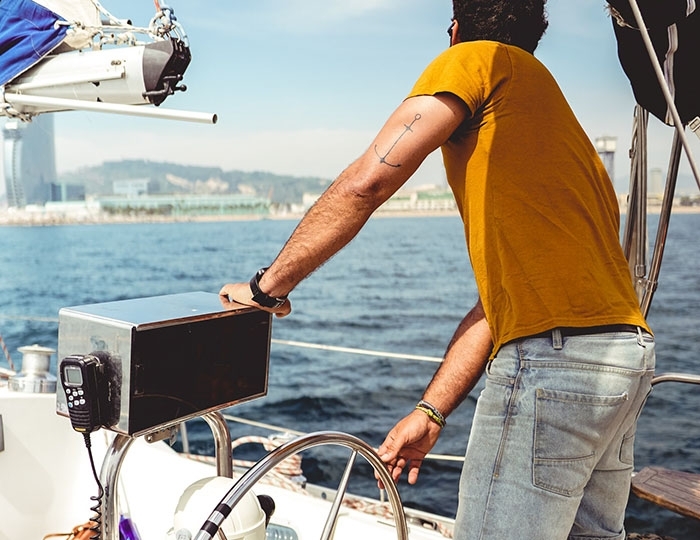 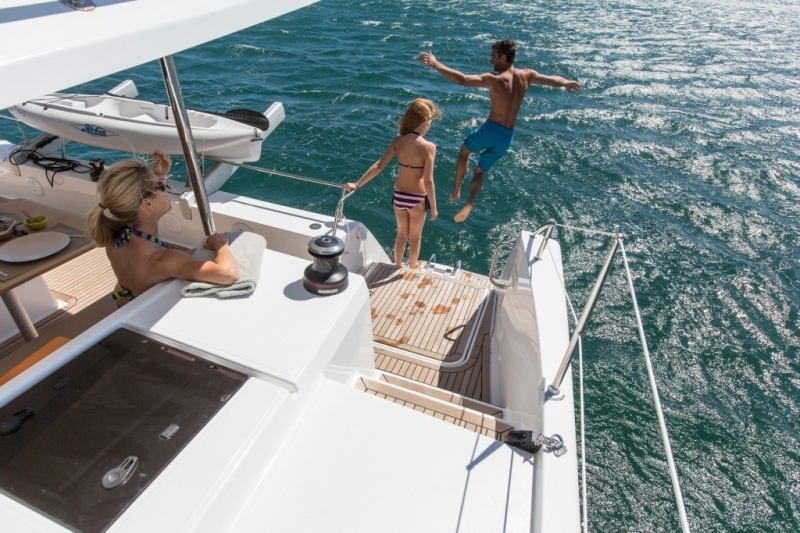 The catamaran has 4 double, comfortable and spacious cabins, equipped with the latest technological innovations, which are a prerequisite for security and ease of management even in bad weather. 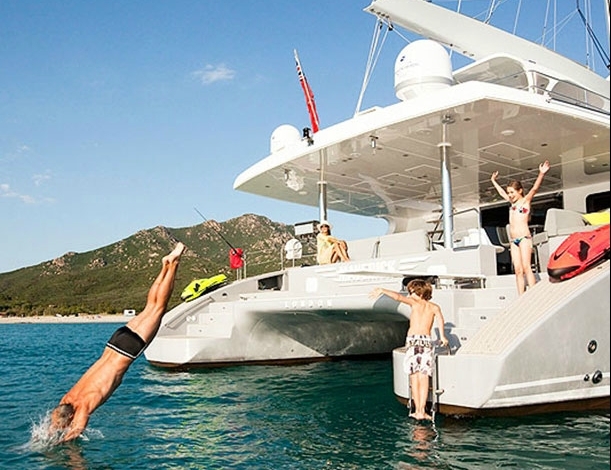 The capacity of the catamaran is 30 tourists plus crew. 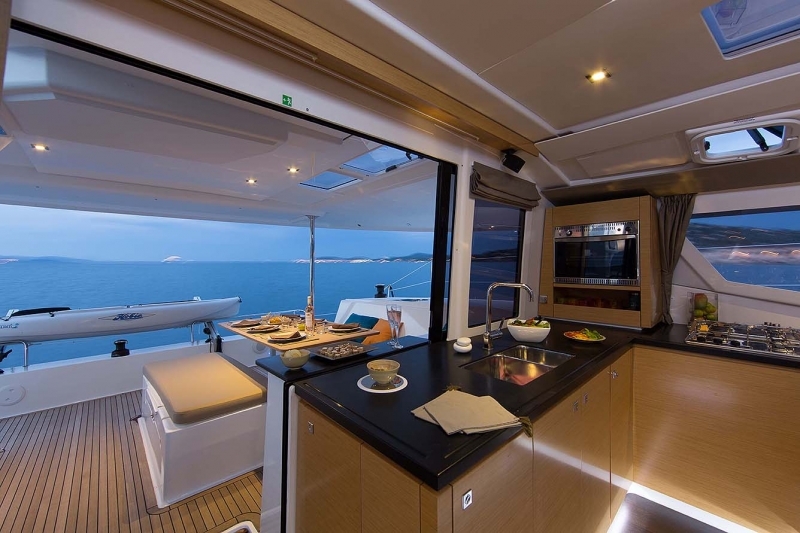 Unconditional advantage of the model is visible from the lounge, which is virtually 360 degrees and ensures complete aesthetic pleasure. 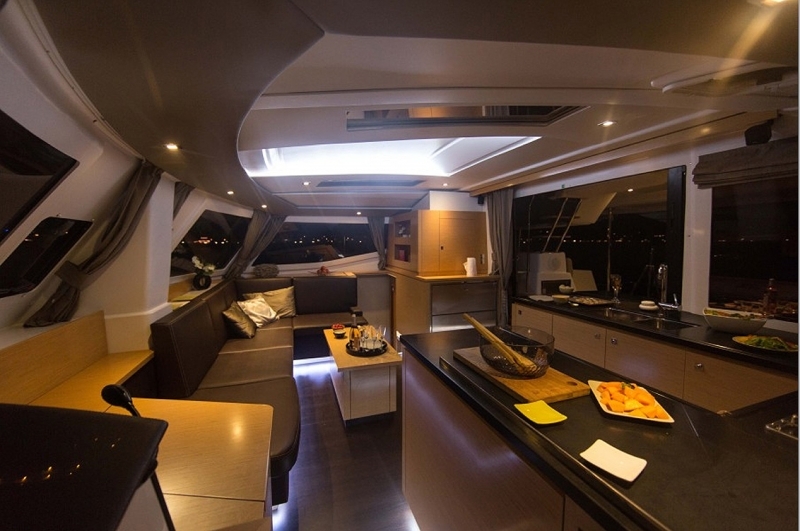 The guests are 2 cockpit, which are comfortable and spacious for passengers. 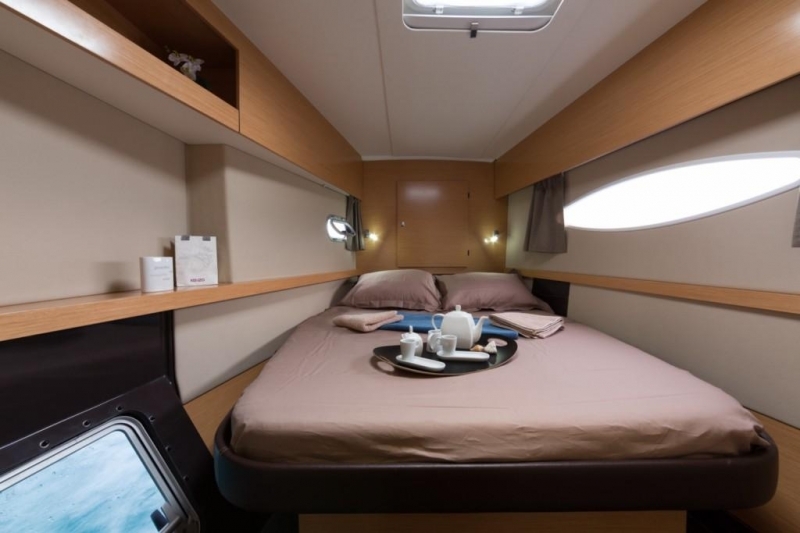 Besides the solid roof structure is designed so that it hides the tourists from the bright sun and sudden rain but also be used for sunbathing.